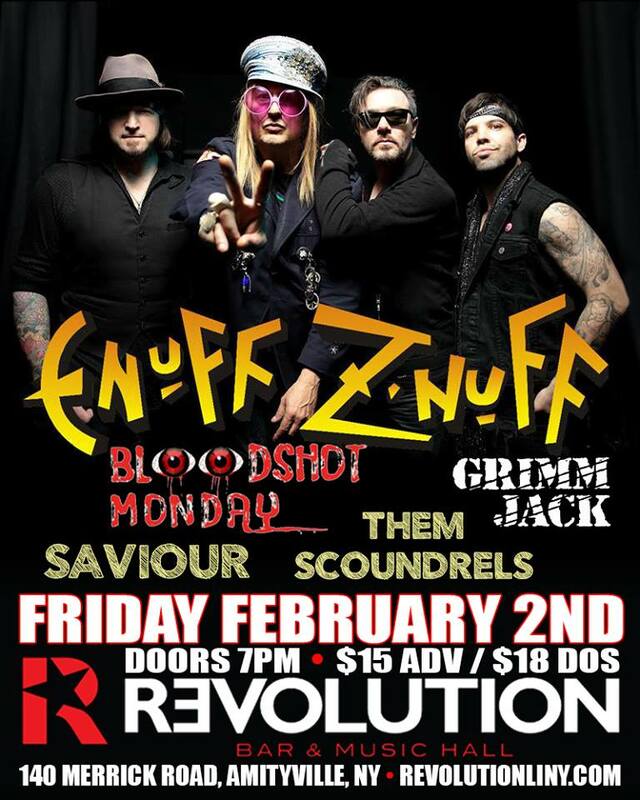 Grimm Jack live Friday February 2nd at Revolutions, 140 Merrick Road, Amityville, NY 11701. Headlining the show is the one and only Enuff –z- Nuff. This is going to be a great night, so come on down n’ Rock with the Jack and the ‘Nuff.